Boston Photography is a registered and insured business with a professional accreditation from Professional Photographers of America (www.PPA.com) and therefore abides by all professional ethics, codes, regulations, and copyright laws. Scanning of professional images is prohibited and illegal under federal law. 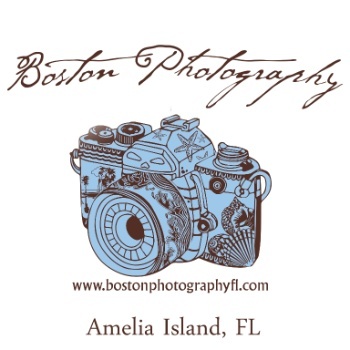 Boston Photography is an appointment only studio with hours of operation from 9 AM to 6 PM Monday through Friday. Saturday and Sunday appointments are available with prescheduled times only. Please check here to show you read and understand the above section. A deposit of 50% of the experience fee is required upon booking. The remaining balance is due on the day of your portrait session. This deposit is non-refundable unless cancelled for inclement weather, as deemed by the photographer. If, in the opinion of the photographer, inclement weather or other adverse conditions prevent the creation of a portrait meeting the artistic standards of the studio, the photographer may elect to use an alternate location or reschedule the portrait. The remaining experience fee is due prior to or at the session. If you need to cancel your appointment or session, you are required to give a 48 hour notice. Please arrive on time. The photographer cannot guarantee your session if you are more than 15 minites late. The session will not be extended past the scheduled time. Please contact the photographer if you are not able to arrive at your scheduled time. At the session, NO PERSONAL CAMERAS are permitted, including cell phones. The studio/photographer may substitute another photographer to take the photographs in the event of the studio/photographer's illness or of scheduling conflicts. In the event of such substitution, the studio/photographer warrants that the photographer taking the photographs shall be a competent professional. If the Studio/Photographer cannot perform this Contract due to fire or other casualty, strike, act of God, or other cause beyond the control of the parties, or due to Photographer's illness or emergency, then the Photographer shall return any deposit or sitting fee to the Client but shall have no further liability with respect to the Contract. This limitation on liability shall also apply in the event that photographic materials are damaged in processing, lost through camera or media malfunction, lost in the mail, or otherwise lost or damaged without fault on the part of the Photographer. In this situation, the Studio will do their best to offer other options. After your session, portraits may take up to three (3) weeks to be ready for your review. If your portrait showing is at the studio, please bring all responsible parties as this is where you will place and pay for your order. Payment can be made to Boston Photography in the form of cash, check or credit card. Please understand that if checks are returned for insufficient funds, you must pay Boston Photography a $40.00 fee along with the balance in full within seven (7) days without incurring additional fees. Your order will not be placed or delivered until the balance is paid in full. Boston Photography will guarantee your portraits for six (6) months for additional orders. Orders placed after 30 days may be subject to additional fees or any product price increases. NOTICE OF COPYRIGHT: It is ILLEGAL to copy or reproduce these photographs elsewhere without Studio's/Photographer's permission, and violators of this Federal Law will be subject to its civil and criminal penalties. You are only authorized to print images taken by a professional photographer with a legal reprint release. The Studio/Photographer reserves the right to use images created under this contract for advertising, display, publication or other purposes. The Client signing this contract warrants that he or she has actual authority to agree to the use of the likeness of all persons included in the portrait in this manner and shall indemnify and defend the Studio/Photographer in the event of litigation arising out of such use. All files remain the exclusive property of this Studio/Photographer. If you do not want your images posted on social media, do not check below. This Contract incorporates the entire understanding of the parties and is governed by the laws of Nassau County, Florida. Any modifications of this Contract must be in writing and signed by both parties. It is your responsibility to educate those in your party with the details described above. Please enter your name once you have reviewed and accepted the above agreement.